Breathable Mesh for Increased ventilation. Smooth surface thumb and index finger improve handling of objects. Neoprene knuckle panel provides increased flexibility and protection. 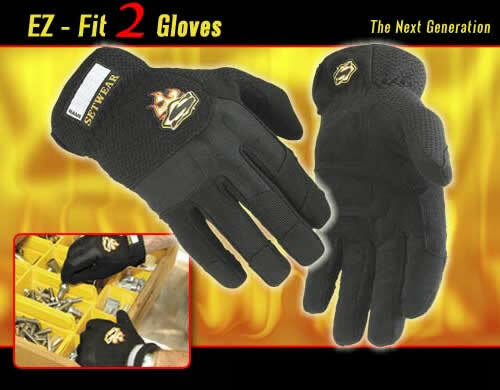 Anatomically cut, foam-padded palm lessens impacts and reduces vibration. Soft, flexible, durable and breathable synthetic leather palm. PULL CORD ON THE WRIST for EASY ENTRY AND FOR HANGING GLOVES AFTER EACH USE.